Jacobs considers Ukraine a strategic partner of the EU. 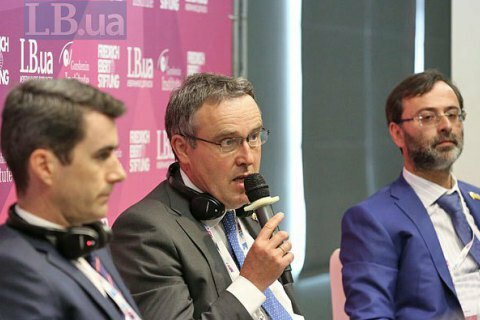 The Ambassador of Belgium to Kyiv Luc Jakobs believes that Ukraine is at the forefront of protecting European values. "The European Union is not an economic project, it is not a club and certainly not a golf club. It is a political project around values, principles, democracy, human rights and, above all, avoiding a situation that can spark a conflict," the ambassador told the VII National Expert Forum, organized by Gorshenin Institute on 15 June. "We should not take peace for granted and Ukraine reminded this to us. Peace needs to be protected, and, unfortunately, Ukraine is literally at the forefront of protecting these values and principles," the diplomat concluded. Jacobs also called Ukraine one of the strategic partners of the European Union.